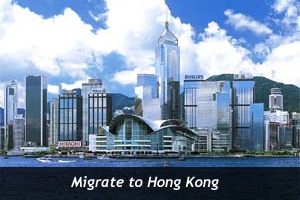 Hong Kong is one of the beautiful destinations for Indians seeking to migrate to a foreign country. The land offers a huge number of employment opportunities for people to come to the country to work and reside. Thus, a number of people from India choose to migrate to Hong Kong from India. Indians, willing to immigrate to Hong Kong can avail the Hong Kong QMAS scheme supported by ABP (Achievement based point test) or GPT (General Point Test). Through Hong Kong QMAS visa, the country encourages highly qualified immigrants to enter the country with suitable jobs or establish a business to make a significant contribution towards the growth of their economy. Financial requirement: An individual has to be financially self sufficient to support himself or herself as well as his or her dependents during the stay in the country without seeking assistance from the public. Educational qualification: The applicant is expected to have good educational background, usually a degree of first class from a reputed university. However, in exceptional cases, achievements with proven ability and technical qualification are considered. Overseas nationals who migrate to Hong Kong under the Hong Kong QMAS scheme can enjoy the following Hong Kong immigration benefits.